Zak Bagans, lead investigator of the Ghost Adventures crew, strikes out on his own and takes viewers on a journey into the dark underbelly of Paris, France, in his documentary "NetherWorld." Sixty-five feet below the streets of Paris, there are around 180 miles worth of labyrinthian tunnels and caves, which also happen to hold the remains of nearly six million people. 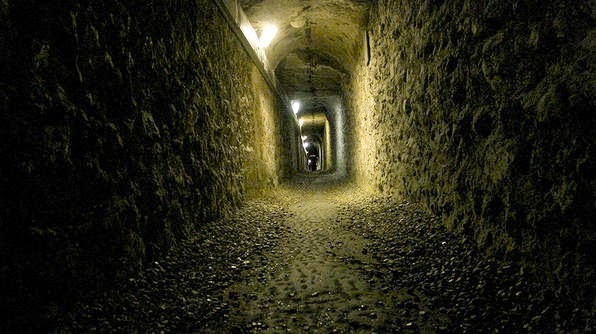 To uncover the mysteries of the tunnels, also called "The Catacombs," Bagans meets with various people to talk of the legends that lay below the City of Lights. First up, he meets with documentarian Francis Freedland. A group of explorers found an abandoned camera inside the catacombs with chilling footage of what could possibly be a man's last moments on earth. In the clips shown, a man is heard breathing heavily as he runs through the tunnels, alone, when suddenly he drops the camera and it keeps filming until it runs out of film. Freedland went into the tunnels with a crew to try and discover what had happened to this unidentified man, but says that nothing was ever found. Bagans asks him if he would be able to take him to the spot where the camera was found, but Freedland says that he will "never, ever" return to the tunnels and warns Zak to be very careful if he enters. Next, Paris born Thomas B. shares his experience with the investigator, stating that he had been exploring the tunnels with friends, when one of them got lost. Thomas says that he ran and tripped, when he saw a man pointing to the numbers 1777 and the letter G upon the wall. In 1744, there was a massive cave in, which lead Parisian officials to invest in the reconstruction of the tunnels. Charles Guillaumot, responsible for attempting to shore up the unsafe mining tunnels, was known to leave the letter G as a signature in the areas where he worked. 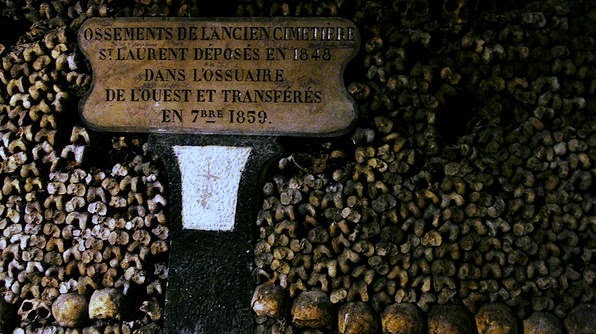 To learn more about the dark history of the catacombs, Bagans travels to a library which exclusively houses the history of Paris. He is interested in the story of Philliberet Asbuer in particular. It is said that in 1793, the doorman entered the tunnels to steal a bottle of liquor made by local monks, as they were known for hiding their spirits there. Asbuer's body was later found some 30 meters from the exit of the catacombs. Learning of yet another local legend, Bagans meets with professor George Wanklyn, who verifies that in 1450 over 40 Parisians were slaughtered by wolves, which then spawned the legend of the werewolf. Father Sebastian tells Zak of a popular rumor from the 1940s, where a woman claims to have been abducted by monsters with thick hair covering their bodies, who then took her into the caverns and locked her in a cage. Nick Platt, an American transplant, tells Zak of his experience in the catacombs. With the expertise of a cataphile, people that illegally access and explore the tunnels, Platt attended a rave. Someone dropped a smoke bomb, scattering the crowd, and he then got lost. Through the smoke, he saw a hand reach out to him, but when he went to grab hold it disappeared. After being recognized on the street by a police officer and exchanging some stories, the officer manages to secure access to the catacombs for the weary traveler. The officers, with Zak in tow, arrive at one of the few entrances, only to find a flier left there by some cataphiles. The tunnels are off limits to the public, however a faction of the population know the catacombs better than anyone. The cataphiles make it well known that they consider themselves above the law by entering illegally and continually leaving reminders for those that follow after them. The tunnels, being extremely old, have never been 100% structurally sound and there are still cave ins from time to time. During their exploration of the catacombs, the group comes across a trap-like net. When Bagans questions them about it, the police say nothing and continue on their journey. He begins to wonder what they actually know, but refuse to share with him. At this point, the lead officer stops and mutters, "Oh, we are lost. We are lost." After a brief moment of panic, they find their way and come across a red painted room. One of the officer tells Zak that a man with AIDS has designated this area to become his tomb once he dies. It is at this point that he admits investigating while with the police is not an option, as they don't seem open to that kind of thing, and decides that he will have to find another way back in later on. This trip appears to be full of good fortune for Mr. Bagans, as a young woman recognizes him as he is on his way into his hotel. Sandy Jones is also a paranormal investigator who just happens to have connections. After a few attempts, she finds a couple of cataphiles that are willing to take them into the catacombs, however this will be her first time actually meeting them. Zak, understandably wary of the situation, takes Sandy aside to discuss the pros and cons of going into the underground labyrinth with strangers. She states that she feels fine around them, one of whom has been going into the depths of the tunnels since the early 1980s, and tells Zak that if they turn out to be sketchy, they can just run away. "Where the f*$& will we run? !," he exclaims, "there are only 2 or 3 entrances!" After discussing it a bit further, they decide to follow the men into the tunnels, but they have to sneak in quickly since, once again, it is illegal for them to be in there. Once inside, they hear one of their guides arguing with other cataphiles. Apparently, there is a party going on at the tomb of Philliberet Asbuer. So long as they don't film the faces of the other cataphiles, they are allowed to attend the party. Following the orders, they head into the tomb and come across one cataphile that doesn't mind showing his face on camera. He says that he has been coming to the tunnels since 1999 with no issues, but in recent months he had seen blood on the floor. Once they begin to head deeper into the catacombs, Zak places three cameras high up in the direction they're to capture spirits or other people, but mainly sets them up just in case they don't make it out. Their guide asks if they would like to go to an area where no one goes, miles into the catacombs, that is completely littered with human bones. After walking for hours, they come to a sort of intersection and a woman is heard laughing. However, Sandy is the only woman with the group and as you can see on film, she doesn't laugh and no one heard it. Zak and Sandy take a seat in a room completely filled with human bones to conduct a quick investigation. He notes that the energy in the room is extremely heavy and sad, making it difficult to contain his emotions. He asks the spirits if they can make a noise, and after Sandy repeats the question in French, a tiny tapping is heard, though he can't say if it's paranormal in nature or not. After leaving what was one of the most emotional places he has been, they follow the guide back towards the exit. While making the trek back, the cataphile points out that one of their cameras has gone missing. Zak looks, and not only is the camera gone, but the digital recorder he left is also gone. As the party of cataphiles was at least two miles away in a different direction, in addition to the height he left the equipment at, Bagans finds it unlikely that the items were taken by cataphiles, but can't think of who (or what) else would have taken them. Once they reach the end of the journey, it's discovered that two out of the three cameras have disappeared. While reviewing the footage from the sole remaining camera, no people are seen walking the tunnels, but a glowing white figure seems to briefly appear from nowhere. Zak notes that it looks as if the figure is wearing a cloak, as was normal in 18th century garb, much like Philliberet Asbuer or Charles Guillaumot would have worn. With a soundtrack provided by Zak Bagans and Praga Khan, the mood of the show is dark and almost surreally spooky. The documentary provided a thought provoking look into quite possibly one of the most mysterious places on earth; why won't the police share information? Are the catacombs off limits to the public for fear of people getting hurt or lost in there, or are they hiding something much more sinister? While we may never find out the answers for certain, viewers can thank the birthday boy for opening their minds to the darkness of the "NetherWorld." I saw a documentary about these catacombs yrs ago and a man was lead down through a secret entrance with a video camera he walked for hours until he finally drops the camera starts screaming in shear terror and he was never seen or heard from again! 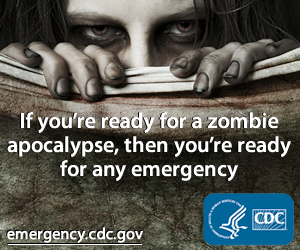 Very Scarry! 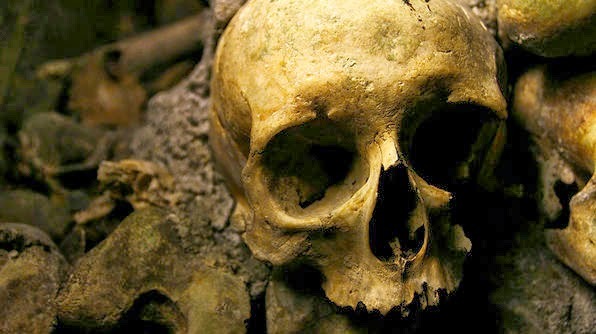 I know I'm late to this but I've been looking into heaps of stuff about the paris catacombs and its very interesting. I saw the documentary with Francis Freedland and i can't stop thinking about what happened. I have read quite a bit on the catacombs and I'm not sure if this is true because it said that all of the catacombs have been mapped and explored, but i don't think this is the case. Also while watching i noticed he said something about the gate way to hell? Is this a legend? or is it fact. This man was running through illegal parts of the catacombs alone, he went deeper and deeper with makes me think he was looking for something. Its a weird theory i know but i can't think of any other explanation. Id really like to find out what happened to this person, like if he was ever found or something, anything really.